The Halo 4 multiplayer action will keep on rolling next month; developer 343 Industries announced today that the latest map pack, Castle, will hit Xbox Live on April 8. Daybreak: Two UNSC bases oppose each other in this large asymmetrical map. Teams must split focus between attacking the enemy base while playing close defense to their own. Claim your team’s sniper rifle to cover the central Man Cannon, or grab a Warthog to push through the side channels and flank the enemy base. The Rocket Launcher and Banshee both spawn in positions diagonal to the starting bases; claiming their firepower early is crucial to land the first flag cap or take an early lead in kills. Outcast: Controlling vehicle paths is critical in this circular map set in a desert environment. Outcast features frequent Mantis vs. Wraith battles, so teams must keep their drivers informed with constant communication to get the drop on enemy vehicles. While driving the Mantis, you can target fusion coils in tunnels to flush out camping opponents directly into your rain of fire, or cover your flag runner’s dash to a friendly Warthog. If you find yourself without a vehicle, race to the secondary bases to secure a power weapon or drop on enemies for a game-changing hijack. Perdition: Blending long sightlines, vehicles, and close-quarters combat, Perdition caters to nearly any gameplay style. Wheelmen and gunners will be right at home in this urban environment as a well-placed Warthog can lock down a quarter of the map, securing valuable ordnances for the team. Learning the interior routes is essential to both escaping danger and finishing off ranged kills. Be sure to look for the Gravity Hammer in Power Station 3. 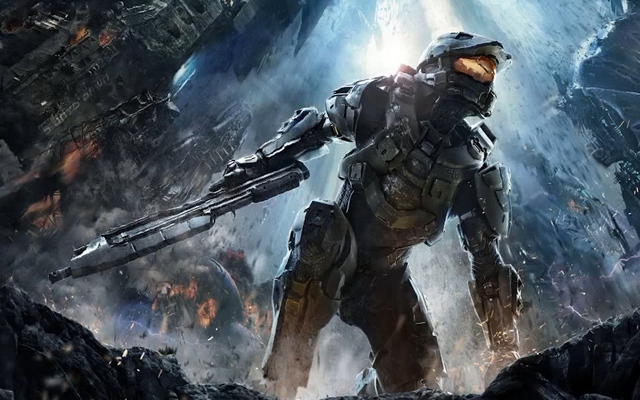 Are you still playing Halo 4 multiplayer or has the game gotten stale for you? Are you excited to try out the new maps? Let us know in the comments below.